Our school facilities serve as a source of pride as well as a significant investment by our local community. 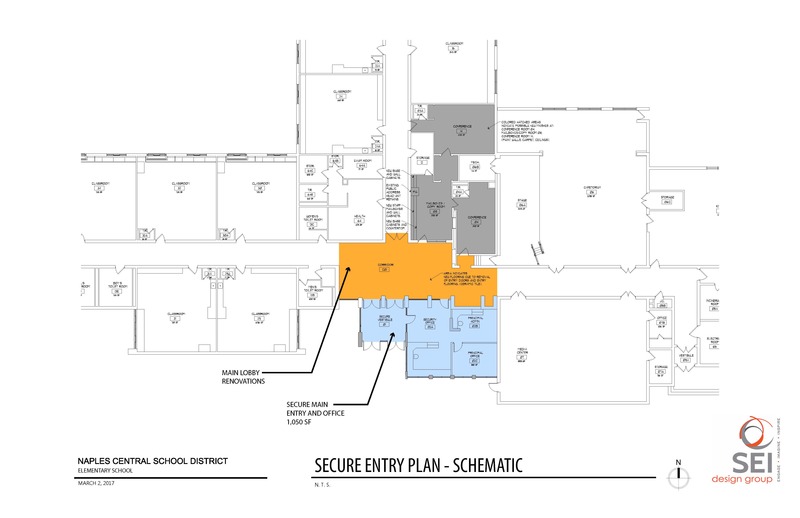 In order to protect our investment and make sure that our students have safe and appropriate learning spaces, our Board of Education spent over a year exploring the possibility of a capital improvement project. 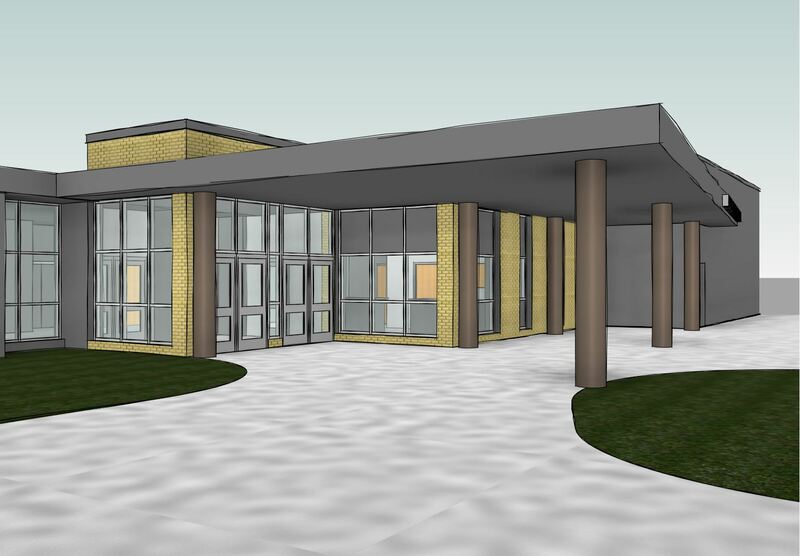 During that time, our Facilities Committee completed a line-by-line review of our required Building Condition Survey (BCS), and in the process, identified the most pressing needs of our District. In addition, our Board of Education committed to saving for capital improvements through Capital Reserve Funds. 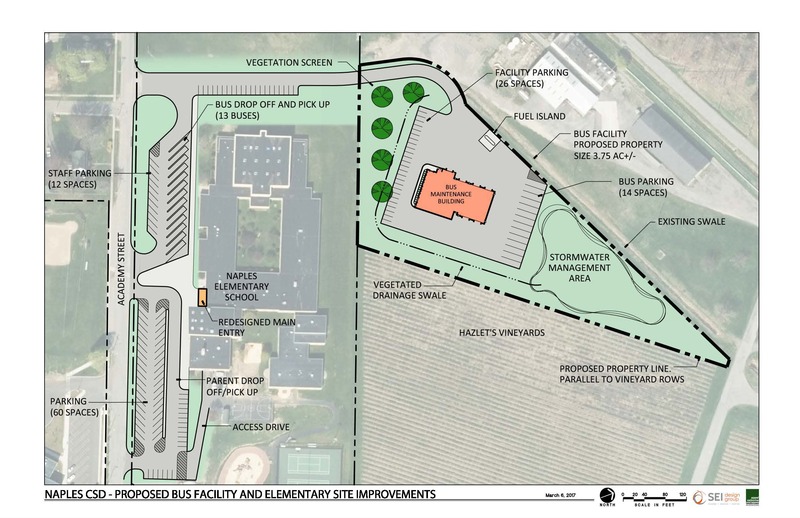 At its meeting on March 27, 2017, the Naples Board of Education approved a proposed $7,725,000 Capital Building Project that would have no tax impact or tax increase. On Tuesday, May 16, 2017, community members approved the proposal. The district is now in the design phase and anticipates, pending state review and approval, starting Phase 1 of the project in spring or summer of 2018. 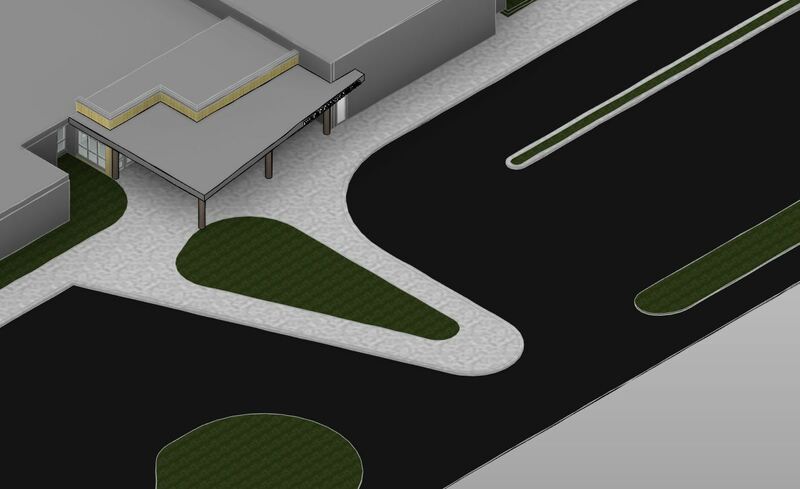 This phase will include a complete redesign of the bus loop and parking area in front of the Elementary as seen in the design drawings below. 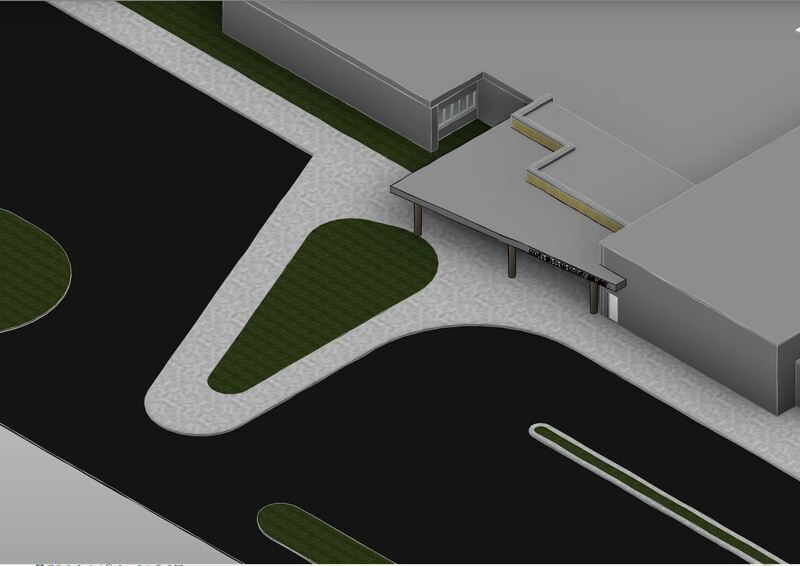 The district anticipates that Phase II will begin in late summer or early fall of 2018. 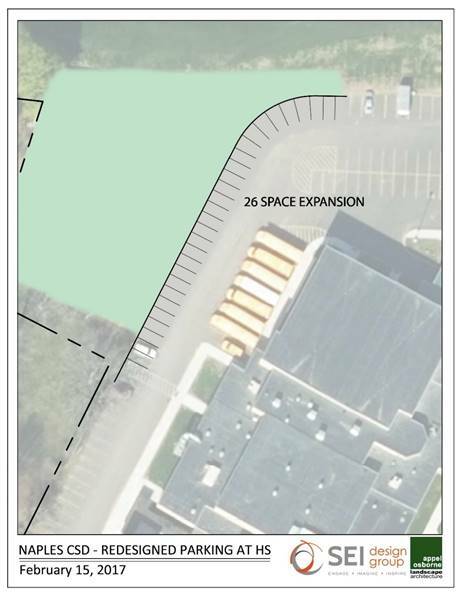 This phase will include the construction of a new secure main entry at the Elementary School, a new bus garage located behind the Elementary School, and the demolition of the old bus garage that was constructed in 1948. 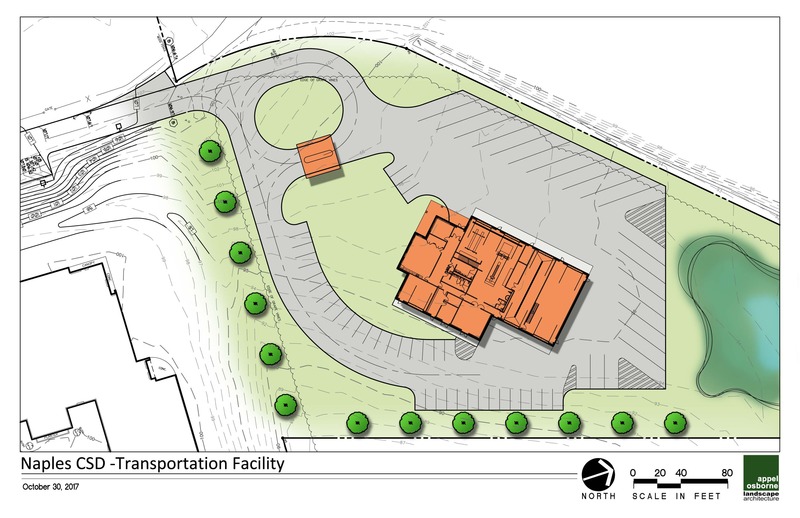 Design drawings for Phase II can be seen below as well.  Click HERE to see a very tentative project timeline and schedule. Click HERE to view a copy of the original Capital Project Brochure. Click HERE for a copy of the February 15, 2017 presentation. A Community Public Presentation was held at 6:30 p.m. on May 1 in the Elementary School Cafeteria. Click HERE to view the presentation slides. A Board of Education Presentation occurred on November 1, 2017. A copy of the presentation can be found HERE. For more information or to request a group presentation, please contact Matthew Frahm at 374-7901 or Mitchell Ball at 374-7902. What will the tax impact be? What is included and why is the project needed? 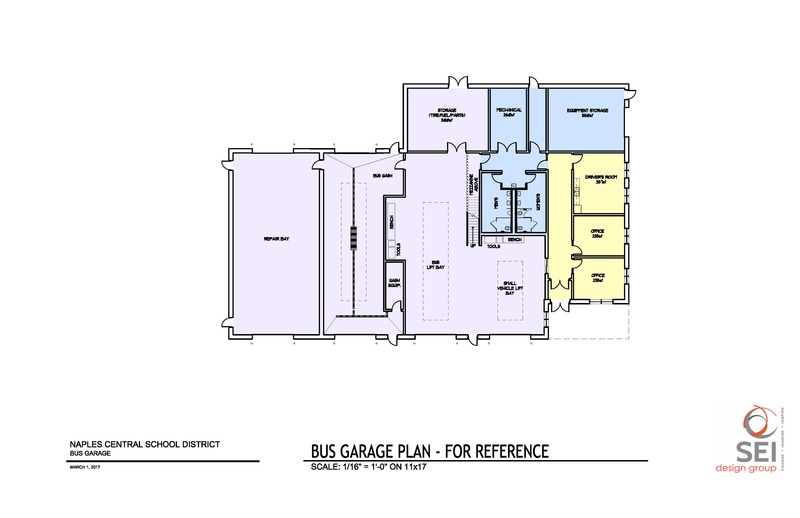 Why aren't we just renovating the current bus garage? What will happen to the area where the curent bus garage lies? Why is voter approval needed? If the project is approved, when would it start? Isn't State Aid just my tax dollars too? Why doesn't the District just include these items in the annual budget? What happens if the Capital Project is not approved? If the project is approved, when will the work be completed? How can we learn more about the project? What if we have additional questions? When and where do I vote?